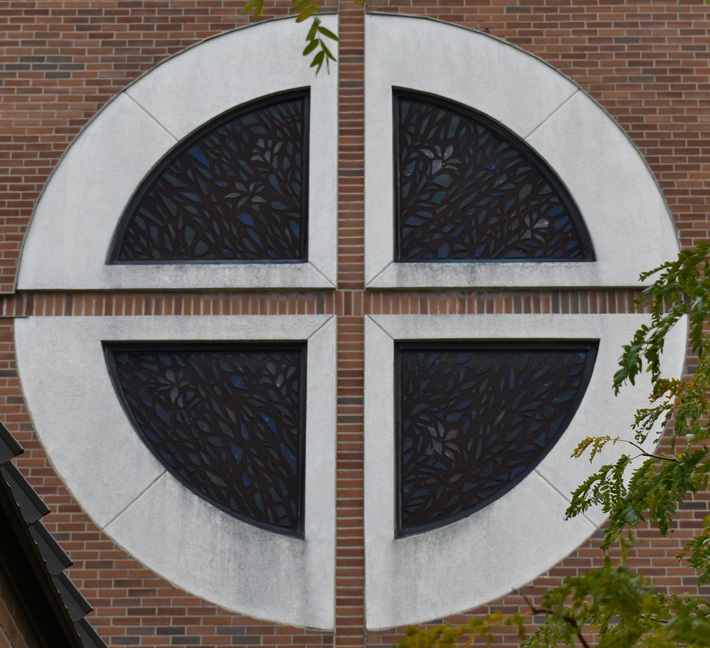 Brief Description of Subject: This rose window, based on a design by Michigan artist Dawn Sinkovich, is entitled "Resurrection". White lilies became associated with the Resurrection as they bloom in early Spring. There is also a long held legend that white lilies sprouted where the sweat and tears of Jesus fell to the ground during the "Agony in the Garden" or in some versions the "Crucifixion". It has become traditional to adorn the altar on the day of the Resurrection with white lilies, thus the popular name for the flower has become "Easter Lily". 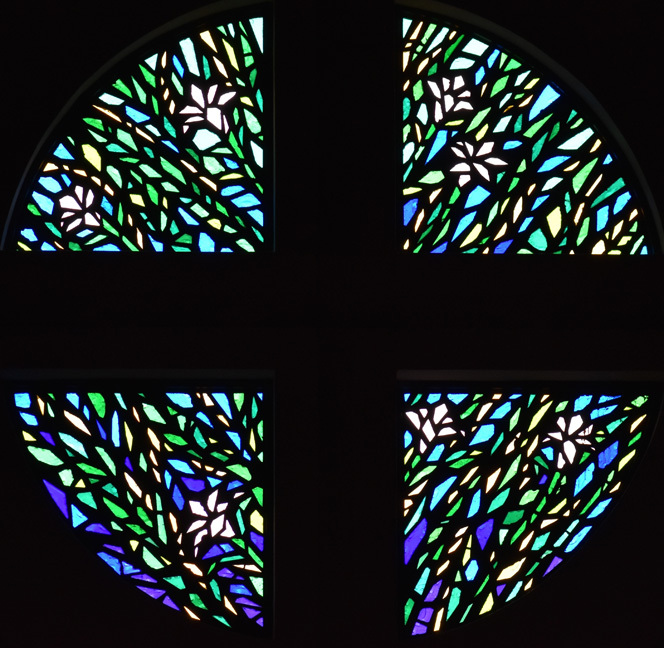 "The (geographical) east window, facing the rising sun, speaks of the Resurrection. The trumpet-like lilies proclaim the dawn of a new day given to us through the Lord's triumph over the darkness of sin and death."